Are you an avid wildlife photographer, or do you know someone who is? 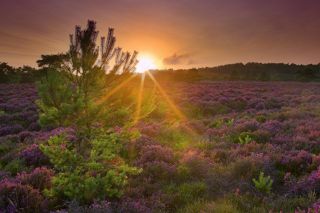 Back from the Brink – an ambitious conservation project funded by the Heritage Lottery Fund – is looking for film makers and photographers to help draw attention to the vanishing wildlife in the UK. The project aims to save 20 British species from the brink of extinction, including the endangered Little Ramshorn Whirlpool Snail, Cornish Path Moss, the Ladybird Spider, and the Narrow-headed Ant. Photographers of all ages are being asked to pick up a camera and celebrate the magic of wildlife and landscapes they discover. For the competition itself, there are eight different film categories and four categories for photography. With a Storytelling Award included, a creative approach is definitely encouraged. The competition has been created in partnership with the charity Wildscreen, and the winning films and photographs will be screened and displayed at the Back from the Brink Festival’ in the autumn of 2019. To enter, you'll need to produce stories with a strong narrative about the natural world, inspiring people to discover, value and act for the UK’s wildlife and natural spaces.